So you picked yourself up a new Apple Watch Series 4, and while it’s an excellent smartwatch, the stock band that it ships with just isn’t cutting it for you. 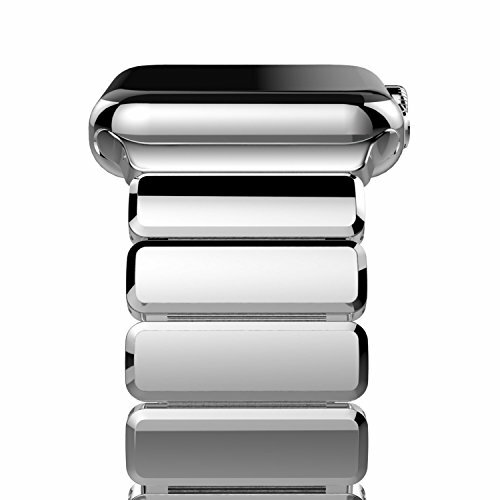 That said, you might want to consider picking up a new watch band for your Apple Watch Series 4. But with hundreds of options out there, the choice can actually be pretty difficult. That’s why we assembled this list for you. By following along below, you’ll discover some of the five best bands that you can pick up for your Apple Watch Series 4 in the 44mm size. Coming in as our fifth choice, the MARGE Plus Genuine Leather Band is an excellent option for those that want a fairly cheap solution for genuine leather. Specialty leather Hermes bands can cost you well into the hundreds of dollars, and that’s unfortunately not money everyone has to drop on something as simple as a leather band. That said, the MARGE Plus Genuine Leather Band is a whole lot more optimal for someone looking for leather. 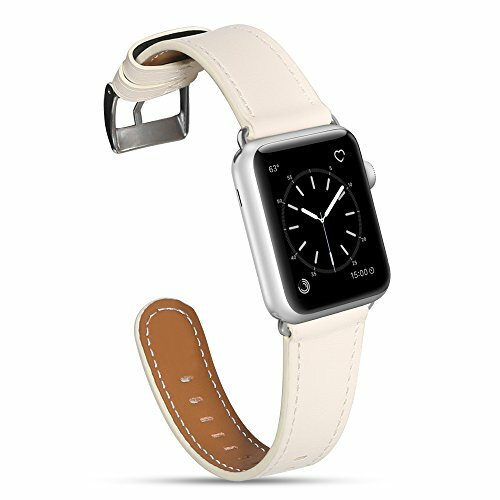 As implied, the band is made out of genuine leather, it has a stainless steel buckle, and it’s easily adjustable for all wrist sizes. The fourth contender on our list is the Oittm Stanless Steel Metal Watch Band. As the name implies, this is a super sharp and stylish watch band made out of high quality stainless steel. The links look extremely attractive, and will make your Apple Watch Series 4 really stand out from the crowd. The band itself is resistant to water, though it’s never a good idea to test that — especially with electronics! The third contender is one designed for those that are on the go a lot or like a lot of different fitness activities. That would be UMAXGET’s Soft Silicone Breathable Band — this band is, as implied, made out of a silicone material that is pretty resistant to things like water and perspiration. Not only that, but it’s comfortable and lightweight. In addition to being a nice option for workouts and such, it’s not a bad band to use for day to day use as well. If you want something that can really up your style game, our second contender — the Seoaura Milanese Loop — is something really attractive. If you’re looking for something that you could take with you for a night out on the town or during a business meeting, a Milanese Loop like this is one of the best options out there. One of the particularly neat things about the Seoaura Milanese Loop is that it’s all magnetic — so if you have a hard to doing up a buckle, you don’t have to worry here — the Milanese sticks together tightly through magnets. Seoaura has this one available in multiple colors, so you can chose the best option for your attire for the day. 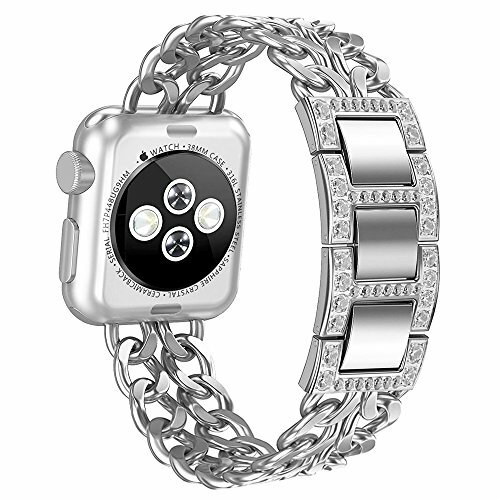 Coming up as our first and favorite Apple Watch Series 4 band, we’re taking a look at the AOKAY Replacement Bling Cowboy Chain. Maybe you like the Oittm Stainless Steel Watch Band, but it just doesn’t stand out enough for you. In that case, the Bling Cowboy Chain by AOKAY will be right up your alley. This one will make you stand out from the crowd, and will have onlookers asking you “just where did you get that watch band? !” AOKAY makes this one out of premium stainless steel, and has embedded rhinestones all throughout it to really make it sparkle. Check it out for yourself at the link below. 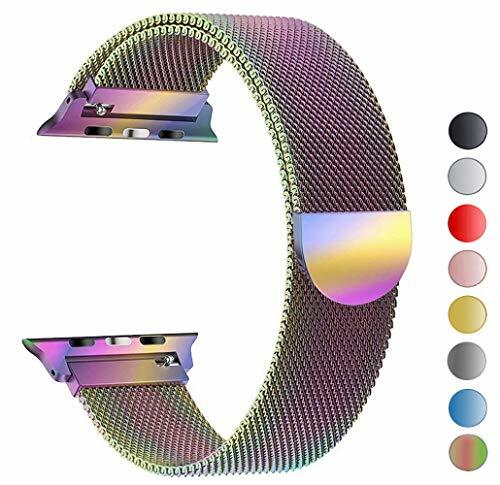 As you can see, there really are a lot of excellent replacement watch bands for the Apple Watch Series 4 in 44mm. Whether you’re looking for something for day to day style, for fitness and gym activities, or to take out on a night on the town, there’s something for you on this list. For casual day to day wear, you might want to take a look at the MARGE Plus Genuine Leather Watch Band, or for taking to the office, the Seoaura Milanese Loop is an excellent option in a variety of colors. 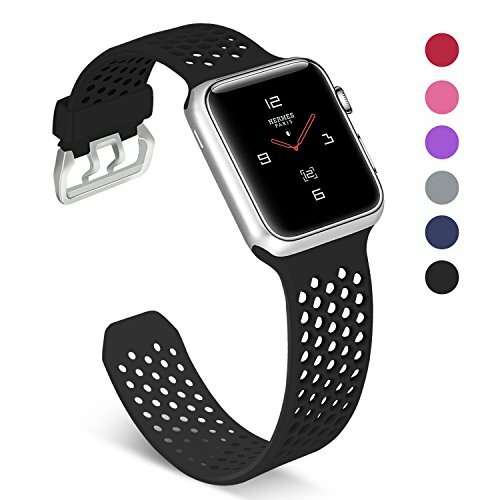 But, if you workout a lot, you also might want to consider picking up that comfortable silicone band by UMAXGET. Do you have a favorite watch band for your Apple Watch Series 4? Let us know what it is in the comments section below!